The Pork Sword label is used when we do a “non traditional” blend. For instance, Cabernet Merlot seems to work every year. But, some years the way the season has gone, something just works that weve not had success with before. 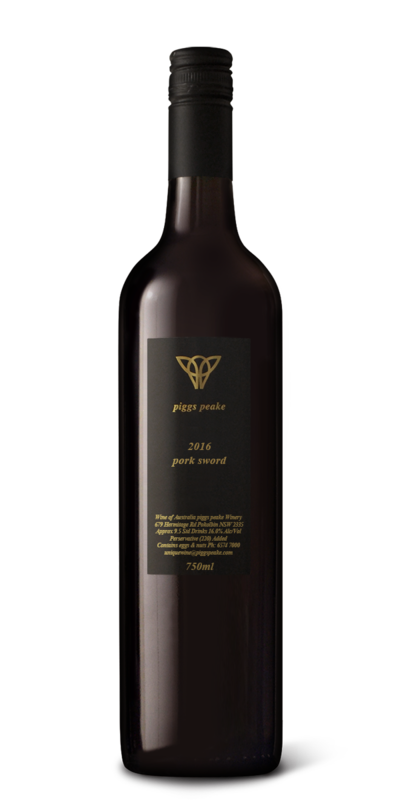 In 2016 we were fiddling with Mataro and found a blend that incorporated some Shiraz to enrich the wine. The end result being the 2016 Pork Sword. This is a pretty weighty and interesting wine that punches well above its weight. If it wasn’t called the Pork Sword it would be selling well. But, it is and that always draws attention to it. It wont be around for long.